Apple has teamed up with Adidas to offer 15% off Adidas products when you use Apple Pay. 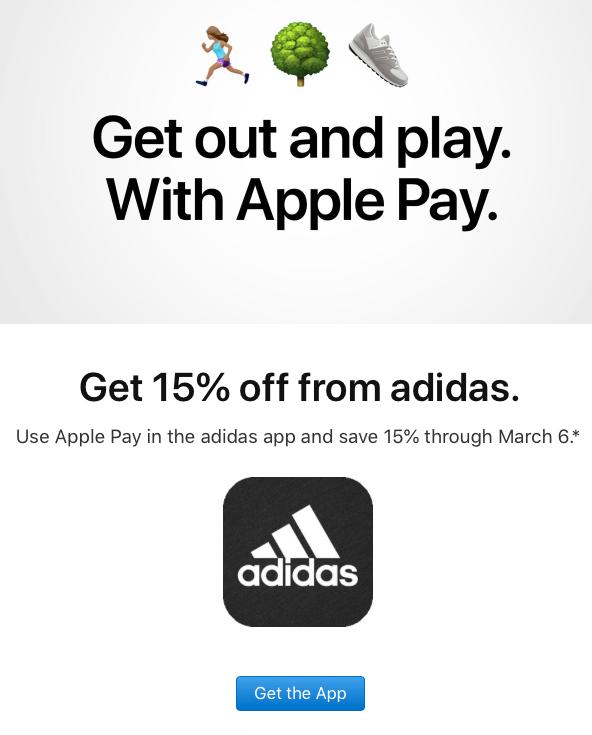 The offer is valid when you use Apple Pay in the Adidas app through March 6th. Some exclusions apply. The Adidas app can be found in Apple’s App Store here. MacDailyNews Take: We’ll be using this one!